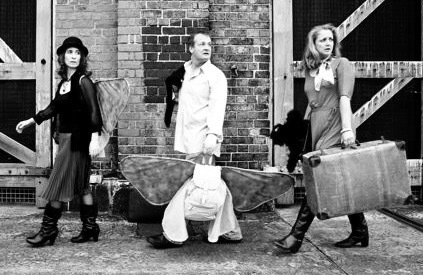 Monkey Baa is a multi-award winning theatre company that creates, tours and curates new Australian theatre and drama-based education programs for young people, their families and educators. Since 1997 we have conducted over 25 national tours to 135 regional and remote communities across every state and territory of Australia, 3 international tours, over 2500 performances, engaging with over 1.2 million young people via a production or workshop. Our mission is to share uniquely Australian stories, with young people at the heart of everything we create. Australia’s leading professional theatre company for young audiences, we are unique within the landscape – the only company that tailors its work to follow a young person from early childhood into adulthood. Our education program is endorsed by BOSTES and offered by the NSW Dept of Education’s Arts Unit. Monkey Baa’s award-winning production Diary of a Wombat has been selected to present at the prestigious 40th Anniversary IPAY Showcase in Philadelphia. Can you help us get there?